It my pleasure to invite you to book launch reception for President of Japan India Association and former Ambassador of Japan to India and France, Ambassador Hirabayashi’s new book “The world is pro-Japan, except that country”. Besides being known as one of the best diplomats of Japan, Ambassador Hirabayashi has also been very active in the corporate world as director/senior-positions at Japan’s leading corporates like Mitsui & Co, Dai-ichi Sankyo, Toshiba, and Toyoko Inn. His detailed profile follows below for your reference. 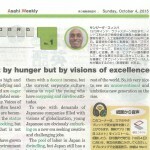 Reception Details: Oct, 26th (Monday), 1800-2000, Shin Marunouchi Building, 9/10F, Marunouchi 1-5-1, Tokyo. 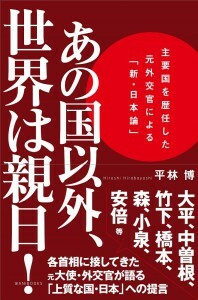 Contributory Charge: 5,000 Yen, including light dinner and an autographed copy of the book. 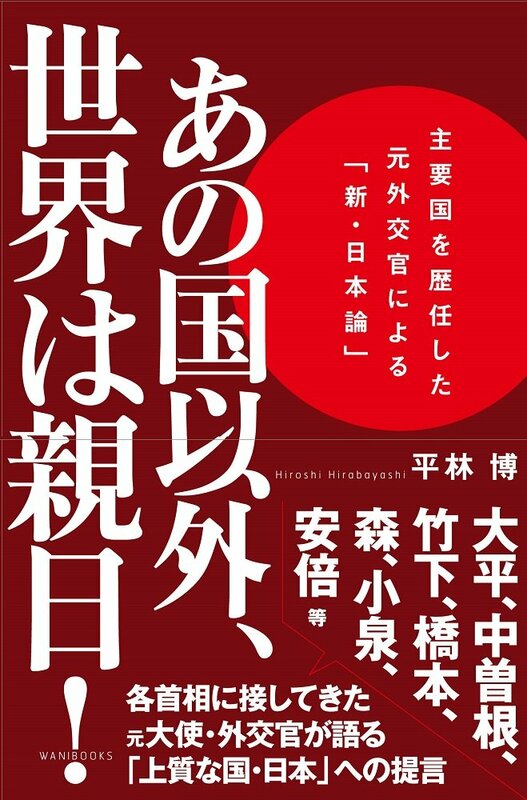 This book is based on the profound diplomatic experience of Ambassador Hirabayashi, both at Ministry of Foreign Affairs and as President of Japan India Association. The book, touching upon India frequently, is poised to give a positive feeling to Japanese people describing how Japan and its people are respected on international front. Its an easy and a rhythmic read, certain to exhilarate the reader. Ambassador HIRABAYASHI was born in Tokyo in 1940. He was graduated from University of Tokyo, Faculty of Law and studied at Universities of Poitiers and Aix-en-Provence in France. He was Fellow at the Center for International Affairs of Harvard University. During his foreign service, he was posted in France, Italy, China, Belgium before nominated Deputy Chief of Mission at the Japanese Embassy in the US, Ambassador to India and finally Ambassador to France. At home, he assumed among others the posts of Director General of Economic Cooperation of the Ministry of Foreign Affairs and Chief Cabinet Councilor for External Affairs at the Prime Minister’s Cabinet. 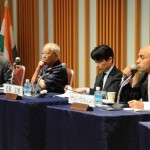 Mr. HIRABAYASHI　actually assumes among others the responsibilities as President of Japan-India Association, Chairman of Japan Forum for Strategic Studies, Director of the Board of Mitsui & Co.　Ltd.